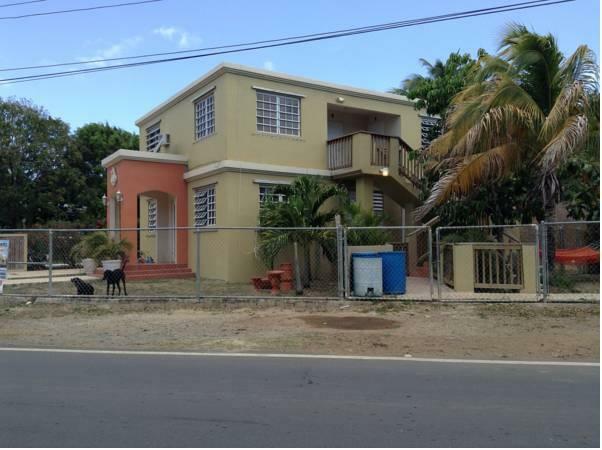 ﻿ Best Price on La Romana Apartments in Culebra + Reviews! La Romana Apartments offers a garden with a terrace and is located 5 km from Benjamín Rivera Noriega International Airport. Free WiFi is provided. The rooms feature air conditioning, flat-screen satellite TV, and coffee-making facilities as well as a refrigerator. The en suite has a shower and a toilet. Apartment extras include a full kitchen. Guests at La Romana Apartments can enjoy local dishes and international food at the restaurant area 5 km away. Bicycle hire is possible on site for a fee. This property is less than 7 minutes' drive from Flamenco and Soni beaches as well as Puerto de Lanchas and Culebra Ferry Terminal. Mosquito Bay is 15 minutes' drive away. Prepayment via PayPal is required to secure your reservation (see Policies). The property will contact you with instructions after booking. Please inform La Romana Apartments in advance of your expected arrival time. You can use the Special Requests box when booking, or contact the property directly with the contact details provided in your confirmation.